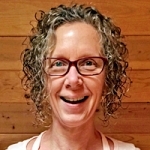 Carol has been a therapeutic bodyworker in Portland, Oregon for over 26 years. She is a retired home birth midwife. She specializes in infant and maternal Craniosacral Therapy. Carol is convinced that if women are appropriately supported in growing, birthing and nurturing their babies, their lives will improve. When women's lives improve their children's health improves. Healthy children grow up to be healthier adults who create healthier communities and a saner, more peaceful world. Carol believes that when things are out of balance even the smallest intervention can bring about great healing. Our need for it is so great. Carol is passionate about using her CST skills to gently make space in maternal bodies so babies can assume ideal positions for gestation and birth. She is currently developing specialized prenatal yoga classes to support and enhance the maternal bodywork techniques she practices and teaches. Carol will explain how the sources of tongue and oral dysfunction aren’t always in the mouth. Sometimes the gold is buried elsewhere. She will discuss torques and twists in the body that extend into the floor of the mouth and express themselves as a lack of tongue mobility. She will discuss how fetal lie and restricted fetal mobility cause babies to grow in ways that negatively impact their breastfeeding. These things may masquerade as and/or exacerbate tongue mobility issues disguised as short frenula. Carol will also explain the CST treatment approach for these babies. In this session Carol Gray will make a compelling argument for an idea that is not mainstream – even among radical homebirth midwives. As a midwife she has long recognized that the baby who couldn't descend into mom's pelvis and get born presents a problem. Carol has since recognized that the baby who drops deeply into mom's pelvis and stays there long (days, weeks or months) before the onset of labor presents an even bigger problem. Babies know how to position themselves for birth. They ought to be able to bob in and out of mom's pelvis until labor begins. When they drop down and stay down it's because they are stuck. In this session Carol will show the anatomy and the biomechanics of this problem. She will describe the aftermath: things like torticollis, plagiocephaly, breastfeeding difficulties, scoliosis, cesarean birth, inductions, etc. Carol will also give some resources for how we can help.